Clayman et al. first introduced laparoscopic nephrectomy in 1990 (1). Patients who underwent such a "noninvasive" nephrectomy demonstrated less postoperative pain, shorter hospitalization, and faster recovery. With the benefits of laparoscopic nephrectomy becoming more apparent, laparoscopic donor nephrectomy was perceived as a technique that might encourage more individuals to undergo renal donation. Laparoscopic donor nephrectomy was first performed in an animal model in 1994 (2). Soon thereafter, the first laparoscopic donor nephrectomy in a human was performed in 1995 (3). Initially, laparoscopic donor nephrectomy was treated with healthy skepticism, and the procedure was considered controversial. Complications seen in the early laparoscopic donors were worrisome, especially in the setting of open donor nephrec-tomy, which had been performed successfully for nearly five decades. In many open donor series, the complication rates were as low as 1% to 8%, and early graft loss was extremely rare (4-9). To gain wide acceptance, laparoscopic donor nephrectomy appropriately had to meet the standards set by open donor nephrectomy. 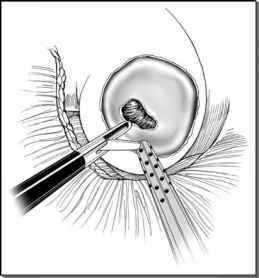 The initial concerns revolved around graft function following laparoscopic surgery. Many feared that the pneumoperitoneum with increased abdominal pressure might lead to acute tubular necrosis and delayed graft function. Extraction of the kidney through a small incision might also injure the kidney. Other concerns included adequacy of vessel length and ureteral viability. Lastly, it was believed that the increased warm ischemia time associated with laparoscopic donor surgery would have long-term detrimental effects on graft function. In the rush to embrace new technology and the perceived requirement to compete for patients, many believed that the popularity of the technique would lead transplant programs to compromise the central ethos of leaving the best kidney with the donor in favor of performing the laparoscopic technique. Overall reported complication rates averaged 5.6% in 2834 donors, although this number is difficult to use for comparison because of the disparate definitions of complications and because any comparison group of open donor nephrectomy is fraught with similar problems. Abbreviations: N, nephrectomy; UCSF, University of California San Francisco; OR, operating time; WIT, warm ischemia time; LOS, length of stay.